Two women were shot and a pregnant woman was trampled during the commotion in the parking lot of Mt . Zion High School in Clayton County, Georgia, at 11:05 pm (EDT) on Friday. The shooting reportedly took place after a graduation ceremony at a nearby performing arts center. One of the victims died in the incident, police confirmed. “The shots were fired in a Mt. Zion High School parking lot after an argument between people who had attended a ceremony for graduates of the Perry Learning Center, which prepares students for careers as an alternative to traditional high schools,” said Thomas Trawick, the safety chief for the county's schools. According to WFLA, one of the victims, reportedly in her 40s, was shot in the chest multiple times and she was pronounced dead at the hospital. Another woman, reportedly 21 years old, was shot in the leg. The two victims were taken to separate hospitals. While one was taken to Atlanta Medical Center, the other was taken to Piedmont Henry Hospital. No arrests have been made so far and no suspect has been named but the police have taken one person into custody for questioning. 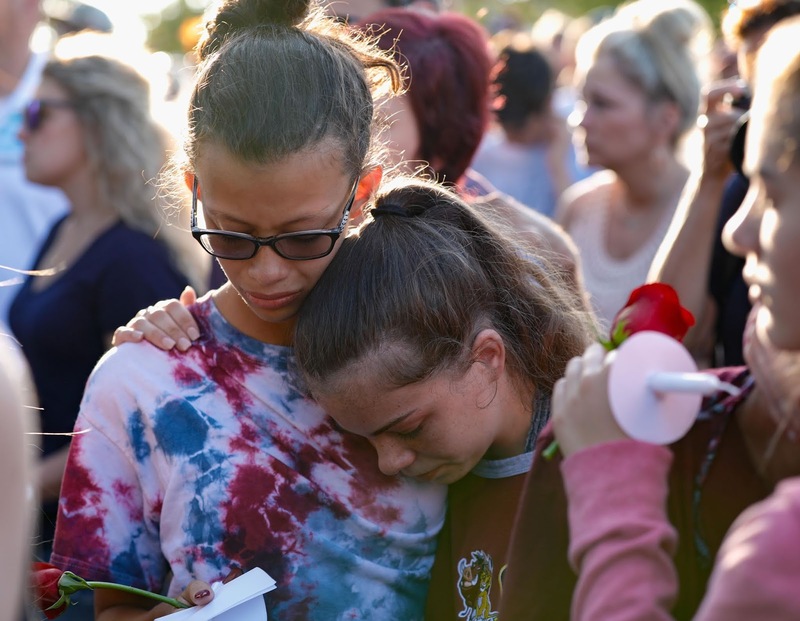 This was the second shooting that occurred Friday, just hours after the tragedy at Santa Fe High School in Texas where a 17-year-old opened fire on classmates at an art class shortly before 8 a.m EDT, killing nine students and a faculty and injuring 10 others. Governor of Texas, Greg Abbott, said the shooter used a shotgun and a .38 revolver that were legally owned by his father, and also left behind explosive devices. “Not only did he want to commit the shooting, but he wanted to commit suicide after the shooting,” he said. Authorities said the suspect, Dimitrios Pagourtzis, was wearing a dark trench coat that covered the shotgun and revolver. The teenager admitted he didn't shoot people he liked and meant to kill the ones he did target. “Two school resource officers were on the campus and confronted the shooter early on in the process," Abbott said, reported CNN. "We need to do more than just pray for the victims and their families. It's time in Texas that we take action to step up and make sure this tragedy is never repeated ever again,” the governor said while offering sympathies to the victims. Pagourtzis was "really quiet and he wore like a trench coat almost every day,” a classmate told CNN. The student, who is accused of capital murder of multiple people and aggravated assault on a public servant, was denied bail at a brief court hearing later Friday. Pagourtzis reportedly spoke in a very soft voice and said “Yes, sir” when asked if he wanted a court-appointed attorney.